So, last Friday the school in Newham, a borough in east London with a large Asian and Somali Muslim presence, which had introduced a ban on girls under age 8 wearing the hijab or fasting during Ramadan at school, backed down and the chair of governors, Arif Qawi, resigned (the headteacher, Neena Lall, remains in place at present). This followed a high-profile social media campaign to pressure the school to back down on the policy and a petition (to the local MP, Lyn Brown) posted by local activist and student Hafsah Dabiri which received 19,723 signatures, as well as some investigative work which revealed that Arif Qawi had made some derogatory remarks about local parents and imams in an email that he accidentally copied to one of the imams in question (all his social media posts have been removed or made private, but screenshots were posted on Twitter and elsewhere). This was the latest bit of mischief-making the Sunday Times had been involved in with Muslims in east London, having published the intrusive but false story about the Muslim foster carer not letting a child eat pork under her roof last August (people are claiming the paper “sullied itself” with its “embarrassing” story about a supposed Momentum plot to oust sitting Labour MPs on today’s front page, but it’s not the worst story the paper has produced recently, by a long shot). As some of you might know, this is a particularly deprived part of London, filled with Asian immigrants, along with more recent arrivals from Africa. 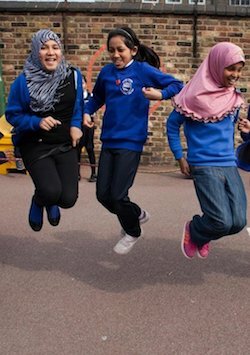 The children are overwhelmingly Muslim, with some coming from extremely under privileged backgrounds, and largely born to parents who are neither highly educated nor speak English … The majority of our kids also spend a couple of hours after each school day in the local Islamic Madrasa. I am on a personal crusade to severely limit the Islamisation process, and turn these beautiful children into modern, British citizens, able to achieve the very best in life, without any restrictions and boundaries. It’s disturbing to see the lack of condemnation from fellow Muslims of these two characters. I’m regularly called an apostate and islamaphobe, when defending the kids in my primary school from the predatory practices of the local islamic madrasas, but I continue to battle for the kids, all the while receiving little support from the community or the authorities. The fact is that significant elements in the Muslim blogosphere and social media have roundly condemned both the two individuals and the revelations about Nauman Ali Khan were made through other Muslims who are also Islamic scholars or their students and although there has been some degree of scepticism about the accusations against both, many Muslims have openly and readily believed them. Speaking from personal experiences, I am a young woman who grew up within a Muslim community, wore the hijab and is now at a Russell group university after achieving 4 A’s at AS-level [usually taken at age 17] and 3 A’s at A2 [taken at 18]. I am on a full scholarship with a financial firm with a guaranteed place on the graduate scheme post my university education. I played netball professionally. Last year I co-lead a national campaign which received £300,000 of funding. In 2015, I was chosen to travel to represent the UK at a conference. I work as a presenter, author, campaigner and teacher in my spare time. And I believe that I embody British values. All of this was done, during the 18 years of my existence, even with a disability. The banning of the hijab depending on age is not required to be able to push children to reach their fullest potential. There are other, more considerate ways in which this can be achieved. 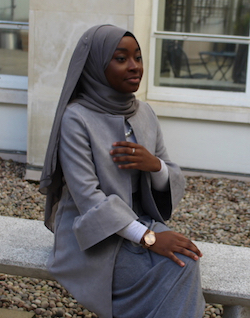 Laughably, Amina Lone, one of the tiny group of women who have been running a campaign against children wearing the hijab with the help of the Times, lamented on Twitter that the climbdown was “an important step in promoting religious extermism (sic), mob rule and refusing to give #Muslim young girls equal gender equality rights. A result of clicktavism in all its polarised glory”. See how they operate: if there’s enough people opposed to it to make their views known online, it’s “mob rule” or “clicktivism”, because the legitimate way of effecting change is to club together with a handful of one’s friends and make trouble through a national newspaper with a long history of antagonism to that community. There was no mob, no pitchforks and no bricks through windows or windscreens, just sterling work by Hafsah Dabiri, Assed Baig, Miqdaad Versi and a few others to expose the hypocrisy of a couple of high-handed individuals and the bigoted attitudes behind a decision they did not even bother announcing to parents before they went to the Times with it. This wasn’t “the mob”, just the Muslims who were rightfully angry about people paid out of our taxes going behind our backs. We behaved with dignity, and your friend Arif Qawi did the exact opposite. And yes, I fully accept that it’s not mandatory in Islam for 7- or 8-year-old girls to wear hijab, nor for their parents to expect them to, but that’s not what this was about; it was about a group of people who loathe the sight of anything that represents Islam or Muslim religiosity. This is why were against it. The majority of girls that age from Muslim families do not wear it all the time, whatever the women and older girls in their community do.